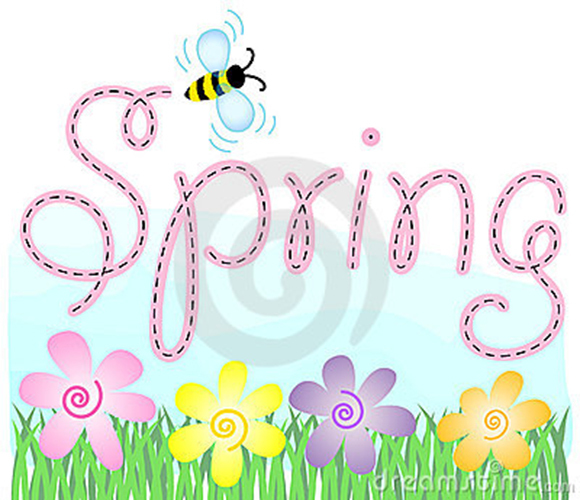 This entry was posted in Events, General on February 19, 2019 by bcoulter. 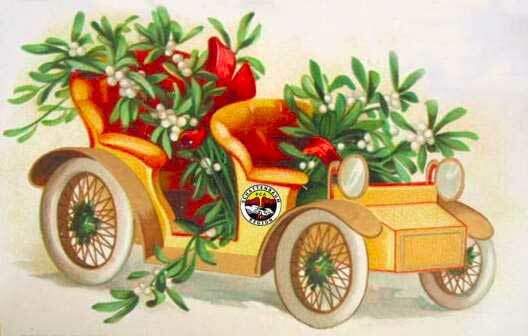 Schattenbaum’s December Newsletter has Arrived! 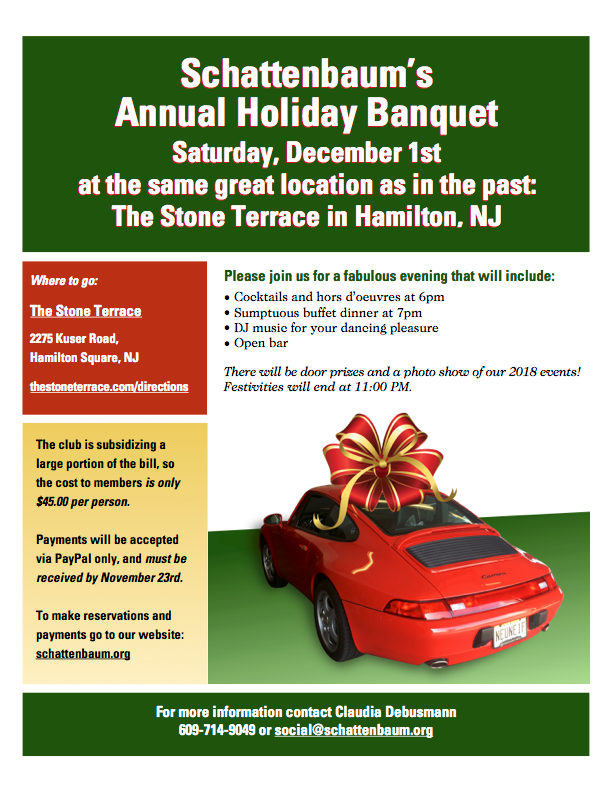 Schattenbaum's December Newsletter has Arrived! This entry was posted in General, Newsletter on November 22, 2018 by bcoulter. This entry was posted in Events, General on November 1, 2018 by bcoulter. Our September Monthly Meeting will be held on Wednesday, September 19, 2018. Our guest speaker for this monthly meeting will be a representative from Schaeffer Oils. 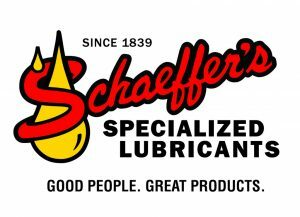 Schaeffer Oil is an upcoming lubricant company here in the US. They are making high standard oils competing with the best oils on the market. He will discuss all the different oils and lubes available for our cars as well as a display on how they work. We will also discuss broken parts. What parts are more prone to brake on your car under different circumstances than others. We will also display broken parts. Complementary pizza, wings and refreshments will be served. This entry was posted in Events, Meetings on September 2, 2018 by bcoulter. 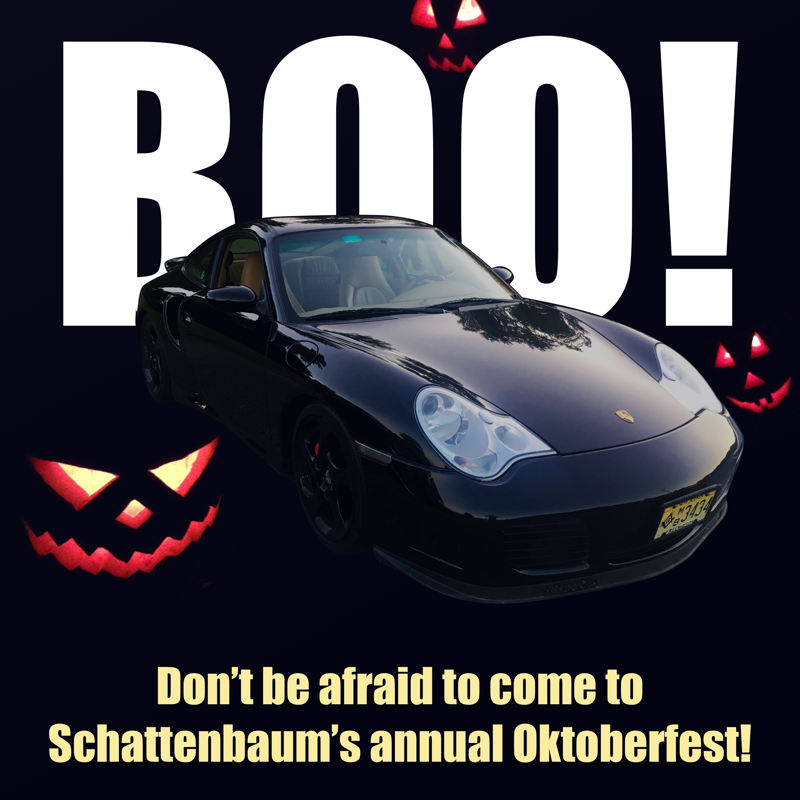 Don’t miss the food, fun and camaraderie at Schattenbaum’s always popular Fall social event, the Annual Oktoberfest. Dinner will be served family style with a selection of authentic German entrées to choose from, plus dessert. 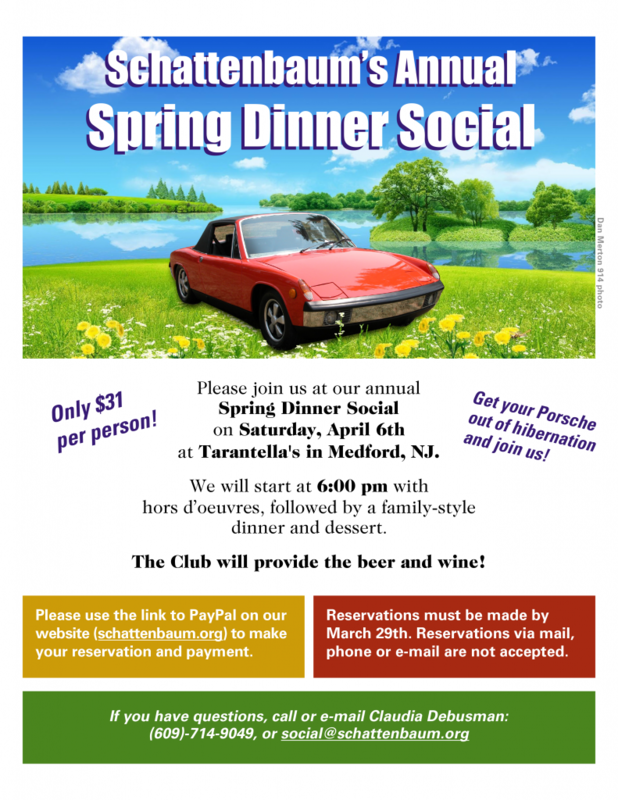 The Club will provide German beer. If you prefer wine with your meal please feel free to BYO. To reserve your spot, just click on the Paypal link below and make your payment. Payment must be received before October 16th. Sorry, reservations via phone or email cannot be accepted. 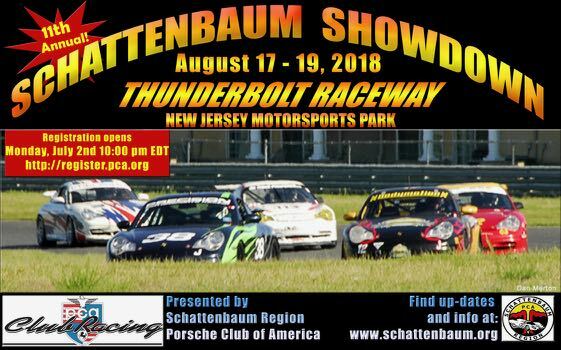 For more information contact Claudia Debusmann 609-714-9049 or social@schattenbaum.org. 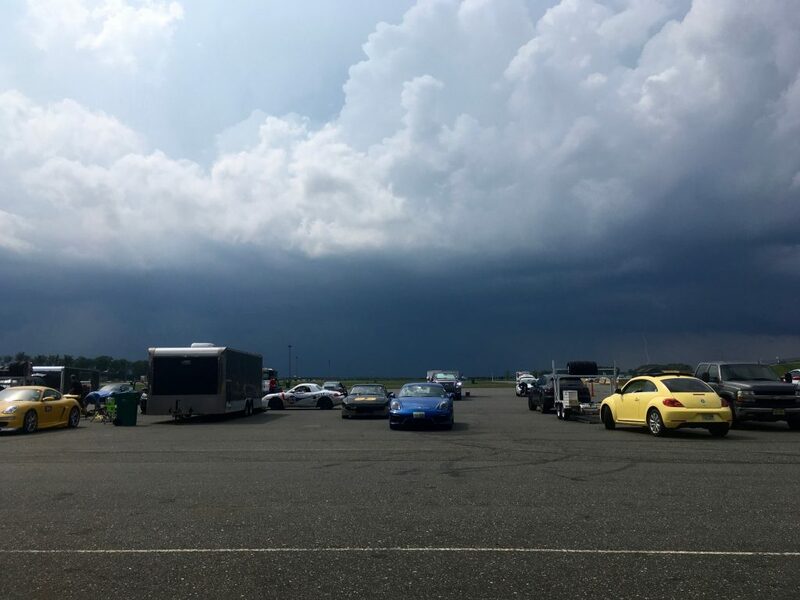 This entry was posted in Events, General on September 1, 2018 by bcoulter. 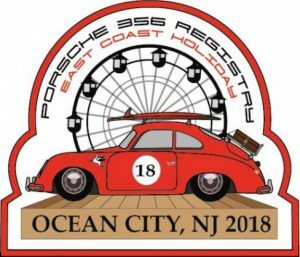 Concours d’Elegance Viewing of the Porsche 356 Registry East Coast Holiday on the Ocean City Boardwalk. 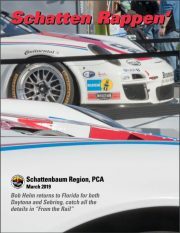 Schattenbaum members will tour to the event October 20, 2018. Contact tour@schattenbaum.org for more information. This entry was posted in Events, General on August 31, 2018 by bcoulter. 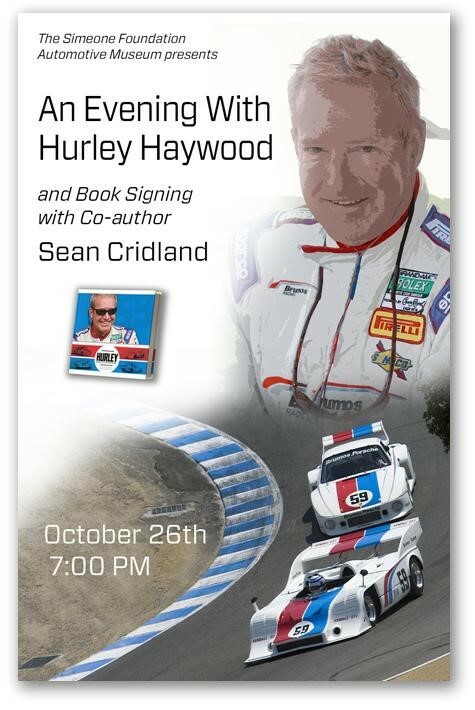 The Simeone Museum presents "An Evening With Hurley Haywood" and book signing with Co-Author Sean Cridland. 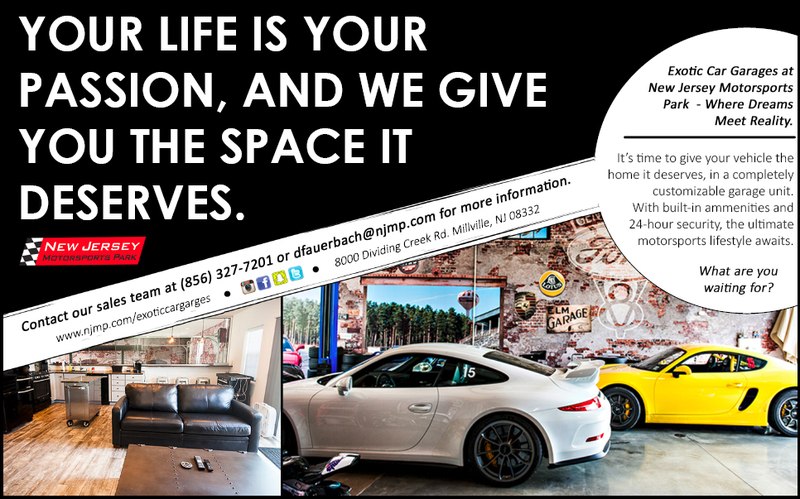 Schattenbaum is partnering with Simeone for a private room and Buffet dinner before the book signing. Click the register button below to confirm and pay for your ticket via Paypal. 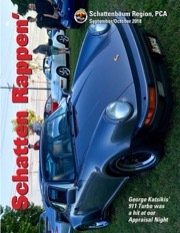 The book signing is a public event not run by Schattenbaum. 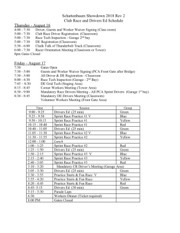 This entry was posted in Events, Meetings on August 28, 2018 by bcoulter. Our November Monthly Meeting will be held on Wednesday, November 14, 2018. Our always-popular Digital Slide night is a great time for Club members to show off the photos they’ve taken throughout the year. Come to the November meeting and share your favorite 12 photos. 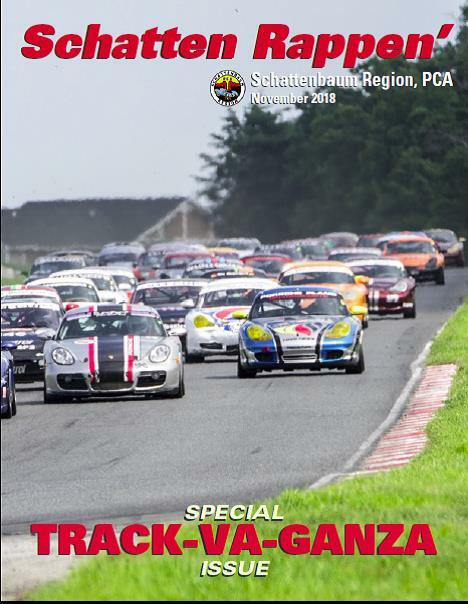 Categories are Porsches at Rest, Porsches in Motion, Pieces of Porsches, Digitally Enhanced Photos and Photo Excellence (non-car themed photos). We’ll have some good prizes for the top 2 winners in each category. Please bring pics on a USB flash drive. Schattenbaum’s September Newsletter has Arrived! Schattenbaum's September Newsletter has Arrived! This entry was posted in General, Newsletter on August 19, 2018 by bcoulter.